Firstly, you choose one animated overlay effect from the list. Then, you click the button “Slap Me” and the chosen effect is shown on the screen. Our developers decided to use FFmpeg library for this test. If we need to do some transformations or changes in the video – the library has a rich number of filters to choose from. For our task we have chosen two filters – chroma key and overlay. We have tried to execute the filters in the command line on PC with Windows OS. Build FFmpeg’s source code for Android and use NDK to write needed code on C language. Use the library which builds the bridge between Java and native C++ libraries. Firstly we’ve selected the former variant. We tried to build FFmpeg’s source code for Android OS. We checked out several tutorials on how to do this, but there were some issues anyway. We tried to fix these issues but got new ones instead. This is why we finally decided to select the second variant. We’ve created small project for testing, where we tried to use chromakey and overlay filters. 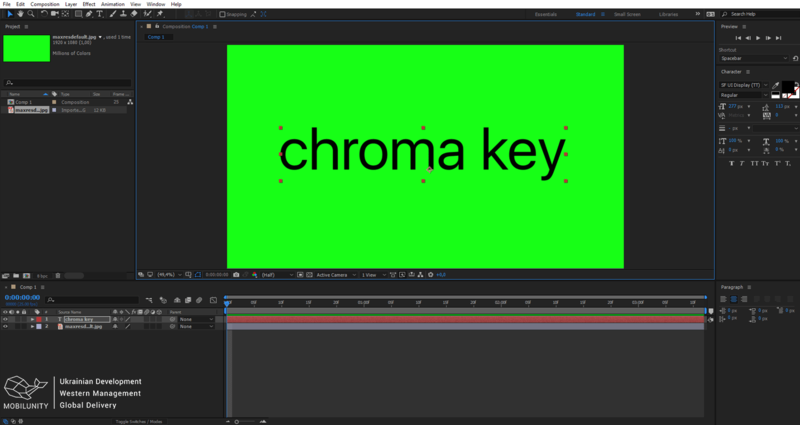 After this testing we found out that chromakey filter doesn’t exist, but it was successfully added after month. Anyway, we had an issue with overlay filter as well. It turned out that this library doesn’t support video overlay effects, it is only capable of overlaying images on the video. Based on our research we understood that creating an application with video overlay effects takes a lot of time. Most of the applications don’t need to be written with the help of the libraries on C language. If your application performs many calculus, in this case you may consider to use such type of libraries, but you need to be very careful, because it complicates your code much and as a result you won’t be able to debug the function which was written on C language. We conduct different types of experiments in order to gain more experience in mobile app development and provide high quality and trendy mobile solutions to our clients. Being experts in web and mobile development, we are offering great solutions for different types of businesses, so that they could choose the best-fitting model of development, whether it’s outstaffing (dedicated teams for hire) or outsourcing an idea to Mobilunity. If you have read our post and still have a difficult time incorporating overlay effects to your videos on your applications or websites, or you want something a bit more complicated, we highly advise hiring professional mobile developers. These developers are not only skilled in mobile application developments, but also in improving and integrating effects into videos that can be added to mobile applications. Hiring mobile developers to work with you, provides you with the opportunity to not just improve your videos but also customize it to what you need. Many companies hire mobile app developers in Israel, Romania, Switzerland, Cyprus and much more. But why going any further? Here at Mobilunity we offer the services, both outstaffing (or hiring dedicated team) and outsourcing, of our mobile app developers. Our mobile developers are both skilled and experienced in addressing video overlay problems but also collaborating with clients on customizing videos overlay effects to their needs. Our dedicated mobile developers can provide high quality and efficient solutions to your video overlay effects problems at a manageable cost! Hire our remote mobile developers in order to get a top-notch app on Android or iOS.